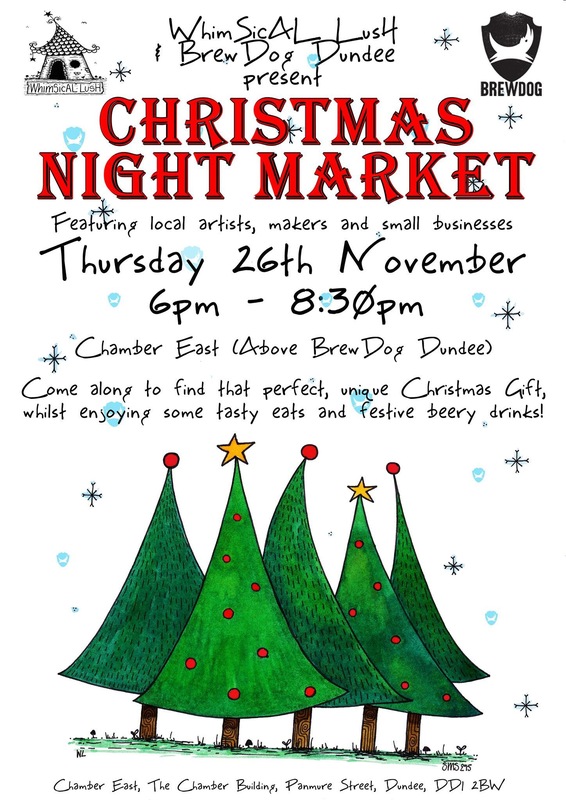 WhimSicAL LusH and BrewDog Dundee are delighted to bring to you their second Christmas Night Market. Packed full of unique treats from local artists, makers and small businesses making it an ideal chance to get some perfect unusual presents for Christmas. Come along, find some wonderful surprises, and enjoy some beery treats from BrewDog too. Find WhimSicAL LusH or BrewDog Dundee on Facebook, Instagram or Twitter for more information and updates about our event!